Sister Diane Carroll, a Dominican Sister of San Rafael for 50 years, died peacefully at Our Lady of Lourdes Convent on February 5. Diane and her brother, Kenneth, grew up in San Francisco where her parents owned and operated a drugstore. Family, friends, and a tremendous love of reading were her greatest influences. In high school she discovered the work of Father Eugene Boylan, an Irish priest and Trappist monk who wrote This Tremendous Lover, the beloved spiritual classic on God’s pursuit of the soul. Diane graduated from Holy Names College, taught in San Francisco’s public schools, and was an active volunteer with the Young Democrats. Her life was busy and engaged. But like many of her era, she was stunned by the assassination of President John Kennedy. It led her to reconsider the direction of her life. After a year of reflection, she joined the Dominican Sisters of San Rafael. Sister Diane shared her passion for literature and writing with elementary and secondary school students at Our Lady of Mercy School in Daly City, St. John Vianney School in Rancho Cordova, St. Cyril School in Oakland, St. Leander School in San Leandro, and Justin-Siena High School in Napa. As a master’s degree candidate at Dominican College, she read the works of Teilhard de Chardin and Thomas Merton, and wrote her thesis on The Mystical Orientation of Virginia Woolf. 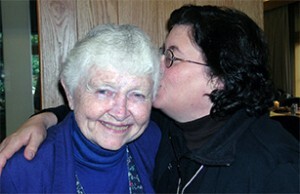 At the end of the 1980s Sister Diane transitioned her life in ministry from education to chaplaincy and until she retired, served at several hospitals, including Saint Mary’s Regional Medical Center in Reno, Columbia San Jose Medical Center in San Jose, and St. Mary’s Medical Center in San Francisco. Not only did she serve as chaplain, she helped to train many others for this special ministry. She counted on support of her lifelong friends, her Dominican sisters, and her women’s spirituality group as she continued her own personal journey of searching for God. Sister Diane was particularly proud of her Irish heritage. She considered San Francisco the greatest city in the world and was a life-long fan of the Giants. Sister Diane is survived by her cousins, Eleanor Kristensen, Carolyn (Stephen) Purcell, Charlene (Neal) Pickus, Len (Caryl) Kristensen, Cheryl (Mark) Vallard, Collette Martinez , and by her Dominican Sisters. A funeral Mass will take place on Friday, February 12 at 10:00 a.m. at the Dominican Sisters Center, 1520 Grand Avenue in San Rafael. Following a reception, Sister Diane will be buried at St. Dominic Cemetery in Benicia. Memorial gifts in honor of Sister Diane Carroll may be made to Dominican Sisters of San Rafael, Development Office, 1520 Grand Avenue, San Rafael CA 94901. By Sister Patricia Corr, O.P. Some people without knowing it force us to ask ourselves, “Well, what is really important after all?” I think Sister Diane Carroll was one of those people. A cousin of Diane’s recently told me that Diane made her think of one of the songs from the SOUND OF MUSIC: “How do you solve a problem like Maria?” In my view, you don’t solve it. You ENJOY it! For Diane had a way of relieving the seriousness of a situation. My introduction to Diane about 50 years ago occurred when we stood in monastic fashion reciting the prayers before lunch. Looking across from me I could not help but notice that the hem on this Sister’s Habit was dragging on the ground. “How can this be?” I thought. So after lunch I offered to help with the hem. Diane very gladly accepted. And so began my realization that Diane, then known as Sister Killeen, was not blessed with significant technical or practical skills. Through the years, many kind souls would come to her rescue. Take Diane’s longtime friend Doris. Over the years I heard about how Doris kindly typed Diane’s term papers, essays, reports, theses, and correspondence from high school years, through college, Grad school and beyond. Since Diane was an English Major there were many, many papers. In the week or so before Diane’s death the word went out that Diane was very ill. To everyone’s amazement she was soon in need of hospice care. As the Community responded to this unexpected sad news, one by one the Sisters poured out their memories to each other about their experiences living with Diane. It was like a Documentary in which the narrator would say, “These stories are True!” The common denominator of these stories was JOY, sheer joy. The Sisters realized that once you got past your fixed expectations that every person has the basic practical skills of life, Diane could distract us from the notion of making or doing something “just so”. Diane’s marvelous WIT gave great pleasure and she could laugh at herself. We could enjoy the incongruities. A very intelligent and creative person, Diane was always a student, an inveterate bookworm, a lover of good literature, especially poetry, a writer, a punster. She expressed herself in writing the lyrics of two hymns such as we heard today. She knew her old movies and actors; she could imitate accents, especially that of the sinister Peter Lorre. She could name that tune! Coco Vin was the one recipe she could cook in a crock pot. She COULD drive, but she would never drive on a freeway, NOR would she make left-hand turns! On the other hand, in her retirement years she was able to master the intricacies of the transportation systems of Marin and her beloved San Francisco. Being a loyal and loving friend, Diane kept in touch with her friends from St. Brigid’s Grammar and High School in San Francisco and from Holy Names College in Oakland. She began her teaching career in public schools and worked for the Young Democrats as a volunteer. But the tragedy of JFK’s assassination forced her to think again of what God may be asking of her. In 1964 she entered the Dominican Sisters of San Rafael. As a teaching Sister and loving literature and writing, Diane was able to share her passion in several elementary schools, then as a campus minister in high school and college. She taught numbers of students to journal their spiritual experiences. And after training in CPE, in the 1990’s she did the same with Chaplain interns whom she supervised at St. Mary’s Hospital in San Francisco, at San Jose Medical Center and the Alexian Brothers Hospital in San Jose and with volunteers she trained at St. Mary’s Regional Medical Center in Reno where she worked for six years. In her retirement Diane returned to San Francisco, the most Beautiful City in the World, to volunteer as a Chaplain. Sister Diane had many transitions in ministry but she admitted that she found major sources of support in the Women’s Spirituality Group which she founded, in her many friends, her Dominican Sisters, and in wonderful Cousins: Eleanor and her family, whom she loved dearly. When Diane became ill she came to Lourdes Convent, but despite her illness she found a niche for her special gifts through her great kindness, understanding and gentleness with the Sisters whom she visited and read to. Diane celebrated the fact that she was still engaged in ministry. It is no accident that the Gospel chosen for today’s liturgy is about the Beatitudes – because Diane was a mirror of each one. I truly believe that Diane knew in her heart that she was brushed with a particular grace, a grace that left a long trail of LOVE and JOY! SISTER DIANE, YOU ARE AN ORIGINAL!